EU negotiator Michel Barnier and British counterpart David Davis kick off the fifth round of divorce discussions, the last before European leaders meet on October 19 to decide whether to move on to trade talks. 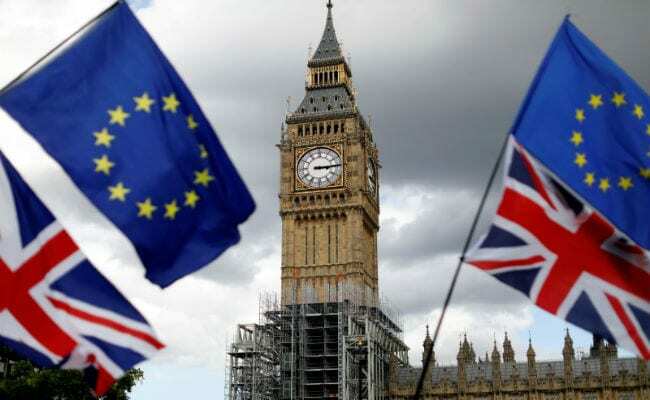 Brussels, Belgium: Brexit negotiations enter a critical round on Monday with British Prime Minister Theresa May saying the ball is in the EU's court, but the bloc fearing her domestic political woes threaten the talks. The prognosis is grim, with European Commission chief Jean-Claude Juncker having warned that "miracles" are needed this week to make enough progress to get a positive decision at the summit. Brussels is particularly alarmed by the leadership crisis engulfing the British prime minister, facing a plot to oust her after a catastrophic, mishap-strewn speech at her Conservative party's conference. The embattled May is set to tell parliament on Monday that she expects "leadership and flexibility" from the other 27 EU countries in the negotiations. "As we look forward to the next stage, the ball is in their court. But I am optimistic we will receive a positive response," May was expected to say, according to her office. "I believe we can prove the doomsayers wrong." The questions over May's leadership have killed off hopes that a separate speech she gave in Florence in September, which contained key concessions, could give a "new dynamic" to the talks. Initially Barnier had hoped to achieve "sufficient progress" to move on to discussing future EU-UK relations by the end of October, with the clock ticking for a deal before Britain leaves the bloc in March 2019. The talks have stalled on all three of the key divorce issues -- the exit bill Britain must pay, the rights of EU citizens living in Britain and the fate of Northern Ireland. London wants to begin talks on the future, including a possible EU-UK trade deal, as soon as possible. Barnier tweeted on Friday that "Brexit negotiations next week should continue to advance" but he himself has warned there are still "signficant divergences" and a lack of progress. "It's quite unlikely there will be sufficient progress made over the coming two weeks," a senior European source told AFP on condition of anonymity. Diplomats said there was still an outside chance that the leaders of the EU member states, with an "eye on history", might decide to approve the next phase anyway. "Leaders want to lead," a senior European diplomat said. But they would be flying in the face of not only Barnier's advice, but also that of Juncker, European Council President Donald Tusk and the European Parliament. MEPs overwhelmingly voted in favour of a motion last week calling on the leaders to delay their decision until their next summit in December, owing partly to divisions in May's government. The fear in European capitals is that May is no longer calling the shots, making it virtually impossible to negotiate with the British government. While May has backed a two-year transition period after Brexit to ease the impact on the economy, hardline Brexiteers want to cut ties with Europe more decisively. "(Foreign Secretary Boris) Johnson's statements in the run-up to and during the Tory party conference have killed the prospect of a fudge at the October European Council," Eurasia Group analyst Mujtaba Rahman said in an analysis. "He has eroded confidence in EU27 capitals that Prime Minister Theresa May's Florence speech has settled the parameters of the government's Brexit policy."